Challenges include appreciating the ‘everythingness’ of 4IR – which isn’t separate and distinct, but impacts every area of work and life. 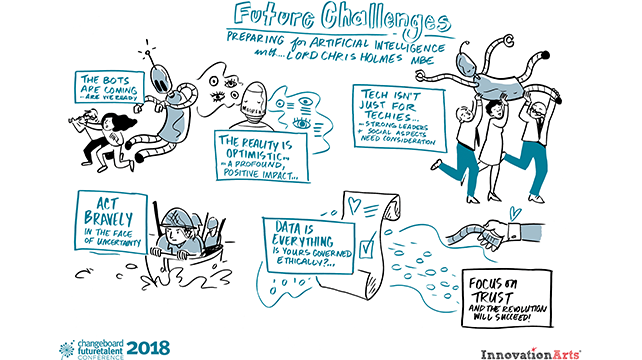 Since we cannot predict the future with any accuracy, we will need to grow comfortable with making choices based on partial evidence and “constantly track [tech] back” to human values and ethics. “For the first time in a long time, talent will eclipse capital as the most important factor of production,” stressed Holmes. To watch an exclusive Q&A with Lord Holmes, as well as his presentation in full, click here.